I wore this outfit for a date night J and I had a few weeks ago, but we were in such a rush we didn’t get to shoot it in time, so here we are! 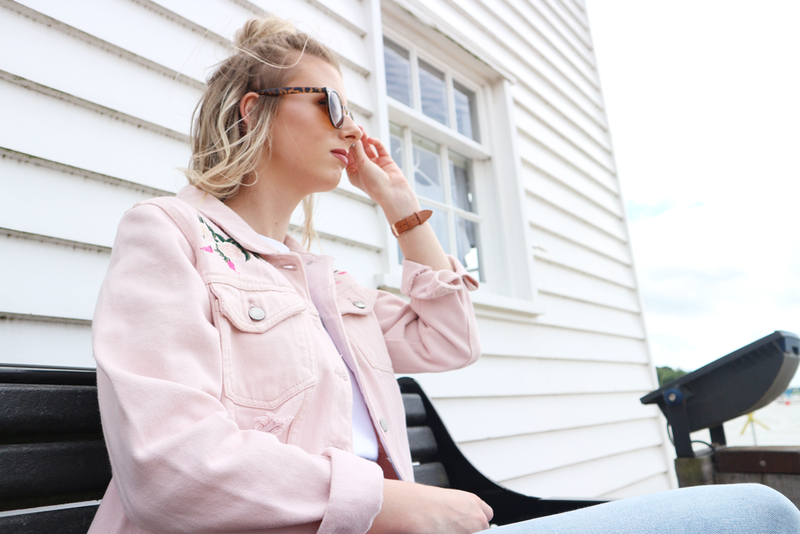 Finally got my hands on a classic slogan tee which have been everywhere recently, and paired it with some comfy jeans and a super cute pastel pink denim jacket. We went to watch Baywatch which was super funny and has totally motivated me to get that Summer bod, and had a bite to eat at Wagamamas which was our first time eating there! I went for the classic Katsu Curry I’ve seen raved about ever so much – was so scrummy but I’d love to try a noodle dish next time. Also, I feel very ashamed at how I can’t use chopsticks in the slightest. Someone teach me pls. 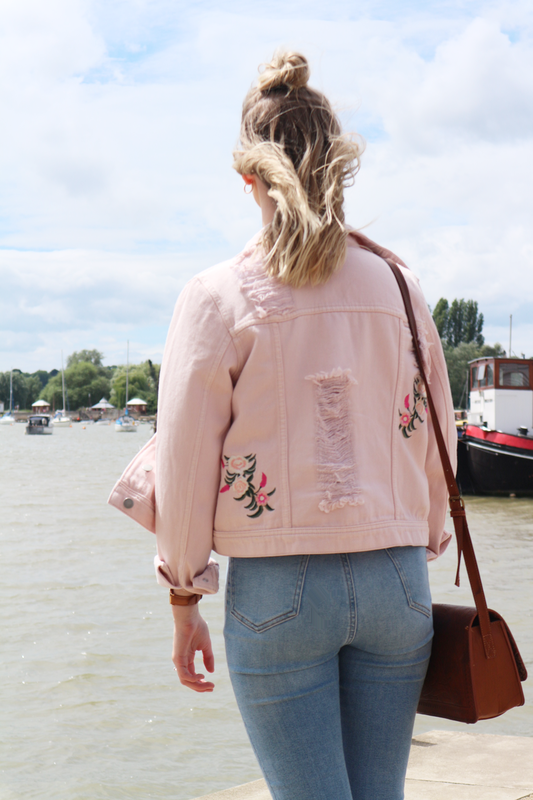 Big shoutout to Norwich based brand Eimi Boutique for gifting me this gorgeous pink denim jacket. 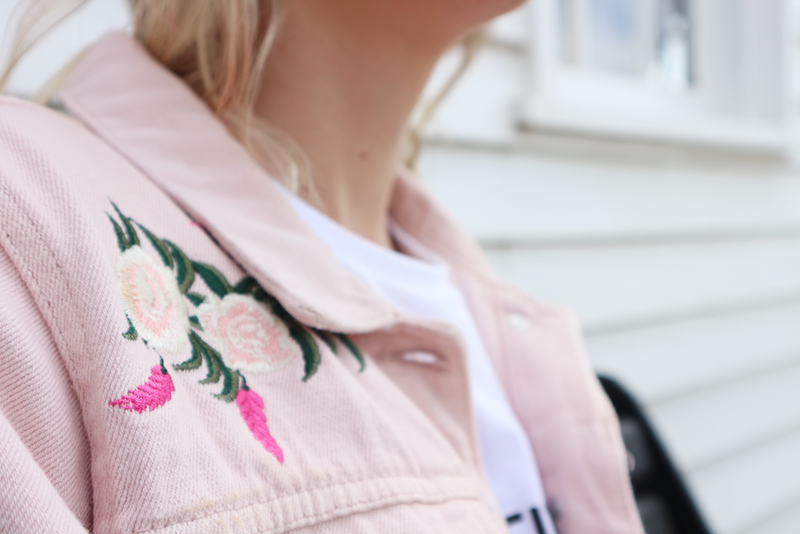 I’ve been lusting over a pastel denim number for a while now and the floral detailing on this one is so pretty. They’re a relatively new company and I love knowing I’m supporting something so local so be sure to follow their twitter, facebook, and instagram!